Get More Fun in the Sun for Less this Summer! The summer holidays are now in full swing and many families will be keen to escape the dismal British weather for sunnier climes. As the cost of living soars and the pound strengthens against the euro, a number of holidaymakers are taking advantage and bagging a bargain summer break. According to estimates from the Association of British Travel Agents, more than 13 million Brits are expected to leave the UK over the coming month as poor weather prompts a re-evaluation of holiday plans. Yet, with a survey from earlier this year revealing Brits spend an average of five months saving more than �600 for their trips away, cutting costs to get more fun in the sun for less should be high up on our agendas. Get More Fun in the Sun for Less this Summer -�Spain! Spain has always been one of the most popular destinations for British holidaymakers and this year is no different, as millions of Brits are expected to flock here during the summer months. Spain�s economy is faltering and as a result the country is significantly cheaper than in previous years. The pound is much stronger than the euro and recently hit a three and a half year high. This gives more spending power to British tourists. 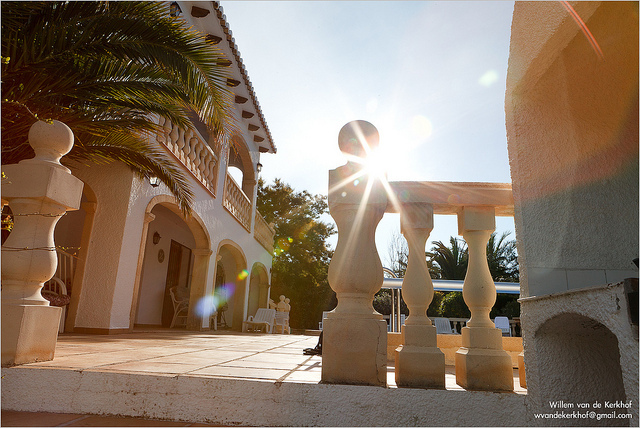 For example, holiday homes and Spain villa rentals may be cheaper this summer compared to last year. Get More Fun in the Sun for Less this Summer -�Portugal! Portugal is another cheap destination for those in search of some holiday sun this summer. The Post Office 2012 Holiday Costs Barometer shows that a seven night stay in Portugal for two now costs less than �1,000; the country is ranked as the best value Eurozone destination. As prices have dropped significantly it comes as no surprise that 69% of people surveyed said they would consider swapping their holiday destination for a cheaper deal. Holidaymakers looking to grab a bargain may be swayed to head to the country where they can find cheaper entertainment, travel and food than in neighbouring Spain. Cheap villas in Portugal are widely available and offer a great value way to enjoy your holiday in comfort. From the cultural capital city of Lisbon to the sunny shores of the Algarve, there is something for everyone in Portugal this summer. Get More Fun in the Sun for Less this Summer -�Turkey! High temperatures, guaranteed sunshine and reasonable prices are drawing in the tourist crowds to Turkey this summer and there are a number of fantastic places to visit along the Mediterranean resorts. Offering an almost unspoilt golden coastline and cultural heritage, Turkey remains a firm favourite amongst British holidaymakers. Research shows that Turkey offers great value, with a one-week holiday for two costing an average of �1,135.18. As the pound grows stronger against the euro, savvy holidaymakers could take advantage of cheap villas in Turkey. The Post Office 2012 Holiday Costs Barometer gave Turkey the runner-up position after prices were found to be 22% lower than last year.